Cricket is a bat-and-ball game played between two teams of eleven players on a field at the centre of which is a 20-metre (22-yard) pitch with a wicket at each end, each comprising two bails balanced on three stumps. The batting side scores runs by striking the ball bowled at the wicket with the bat, while the bowling and fielding side tries to prevent this and dismiss each player. Means of dismissal include being bowled, when the ball hits the stumps and dislodges the bails, and by the fielding side catching the ball after it is hit by the bat, but before it hits the ground. When ten players have been dismissed, the innings ends and the teams swap roles. The game is adjudicated by two umpires, aided by a third umpire and match referee in international matches. They communicate with two off-field scorers who record the match's statistical information. Women's Twenty20 cricket is the newly emerging use of the Twenty20 match format in women's cricket. The rules of Twenty20 are the same for both men and women. Kulasekara Mudiyanselage Dinesh Nuwan Kulasekara is a professional Sri Lankan cricketer. He was educated at the Bandaranayake College, Gampaha. A useful and effective medium pace bowler, who can swing the ball in first few overs, and also can bat in late overs, Kulasekara is regarded as one of the best swing bowlers in the world, who once ranked number one in the ODI bowlers rankings as well. The New Zealand women's national cricket team, nicknamed the White Ferns, represents New Zealand in international women's cricket. One of eight teams competing in the ICC Women's Championship, the team is organised by New Zealand Cricket, a full member of the International Cricket Council (ICC). The Australian women's national cricket team represent Australia in international women's cricket. They were nicknamed Southern Stars, but in 2017 this name was dropped and are now known only as the Australian women's cricket team in an attempt to promote gender equality with the men, who have no nickname for their team. Nicolaas Hendrik Christiaan de Jong Theunissen was a South African cricketer who played in one Test in 1889. Peter Connell is a New Zealand-born Irish cricketer. An opening bowler, he made his debut for Ireland in 2008, aged 26. He took part in Ireland's successful campaign in the 2007–08 ICC Intercontinental Cup. Connell has also represented Ireland in One Day Internationals (ODIs) and Twenty20 Internationals (T20Is). In January 2012 he was given a contract with Cricket Ireland. 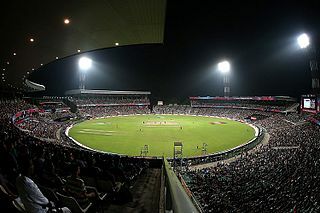 The 2020 ICC T20 World Cup is scheduled to be the seventh ICC T20 World Cup tournament, with matches to be held in Australia from 18 October to 15 November 2020. The final will be held at the Melbourne Cricket Ground. Nicolas Pooran is a Trinidadian cricketer who plays for Trinidad and Tobago in West Indian domestic matches and for the Red Steel in the Caribbean Premier League (CPL). As of the 2014 season, he is the youngest player to have appeared in CPL matches. Shimron Odilon Hetmyer is a Guyanese cricketer who plays for the West Indies. He was part of the West Indies' squad for the 2014 ICC Under-19 Cricket World Cup. In December 2015 he was named as the captain of the West Indies squad for the 2016 Under-19 Cricket World Cup. The International Cricket Council (ICC) named Hetmyer as one of the five breakout stars in men's cricket in 2018. Raisibe Ntozakhe is a South African cricketer. She made her Women's One Day International cricket (WODI) debut against India in the 2017 South Africa Quadrangular Series on 9 May 2017. She made her Women's Twenty20 International cricket (WT20I) debut for South Africa Women against India on 13 February 2018. Tazmin Brits is a South African sportswoman. She won gold in the javelin throw at the 2007 World Youth Championships in Athletics. She was in line to be selected for the 2012 Summer Olympics in London, before being involved in a road accident, which left her hospitalised for two months. The Sri Lanka cricket team toured Australia in January and February 2019 to play two Test matches for the Warne–Muralitharan Trophy. The first Test, in Brisbane, was a day/night match. They also played a three-day warm-up match ahead of the Test series. In April 2018, Cricket Australia confirmed that the Manuka Oval would host its first ever Test match. Australia won the series 2–0, with Tim Paine winning his first Test series as captain of Australia. The 2019 international cricket season is from May 2019 to September 2019. The 2019 Cricket World Cup in England and Wales is scheduled to take place during this time, starting on 30 May 2019. Currently, 11 Test matches, 82 One-day Internationals (ODIs) and 67 Twenty20 Internationals (T20Is) are scheduled to be played during this period. The season started with India leading the Test cricket rankings, England leading the ODI rankings and Pakistan leading the Twenty20 rankings. In the women's rankings, Australia women lead both the WODI and T20I tables. The Pakistan cricket team is scheduled to tour England in May 2019 to play five One Day Internationals (ODIs) and one Twenty20 International (T20I) match ahead of the 2019 Cricket World Cup, and are part of both teams' preparation for the tournament. Three matches will be played against English county sides as part of the tour, with 50-over matches scheduled against Kent and Northants and a Twenty20 match to be played against Leicestershire. ↑ "Player Profile: Elriesa Theunissen". Cricinfo . Retrieved 2010-04-03. ↑ "Elriesa Theunissen-Fourie dies in road accident". ESPN Cricinfo. Retrieved 7 April 2019. ↑ "Former SA Women all-rounder Theunissen-Fourie dies in road accident". International Cricket Council. Retrieved 7 April 2019. ESPNcricinfo is a sports news website exclusively for the game of cricket. The site features news, articles, live coverage of cricket matches, and StatsGuru, a database of historical matches and players from the 18th century to the present. As of March 2018, Sambit Bal was the editor. The site, originally conceived in a pre-World Wide Web form in 1993 by Dr Simon King, was acquired in 2002 by the Wisden Group—publishers of several notable cricket magazines and the Wisden Cricketers' Almanack. As part of an eventual breakup of the Wisden Group, it was sold to ESPN, jointly owned by The Walt Disney Company and Hearst Corporation, in 2007. Dinesha Devnarain was included in the original squad but withdrew due to injury; she was replaced by Suné Luus. This biographical article related to a South African cricket person born in the 1990s is a stub. You can help Wikipedia by expanding it.